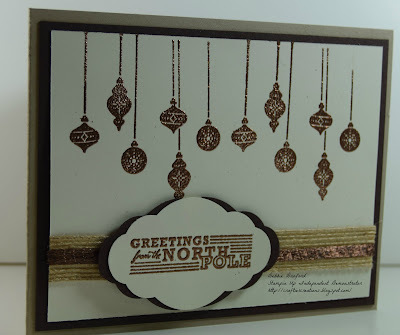 Today I wanted to share another (another) card with the new Carols of Christmas. 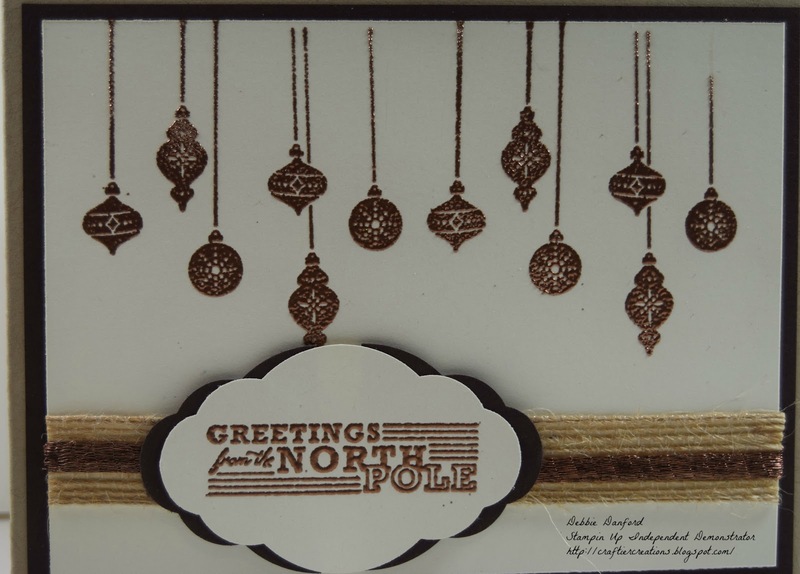 On Very Vanilla randomly stamp the ornaments with Versa Mark and heat emboss with Copper embossing powder. 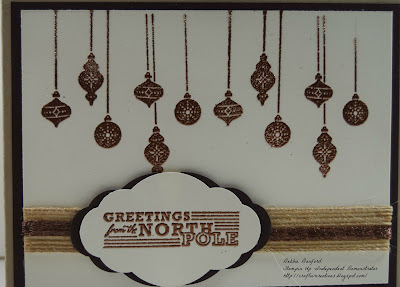 At the sane time on a piece of Very Vanilla scrap stamp your phrase (retired stamp) with Versa Mark and heat emboss with Copper. 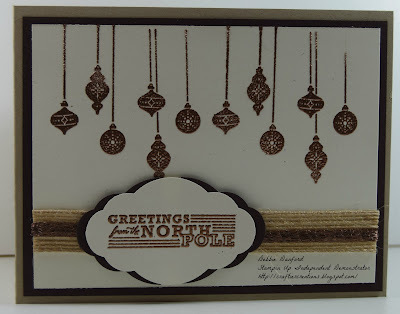 Punch out greeting and the layer piece (Early Espresso) with the Pretty Label Punch. 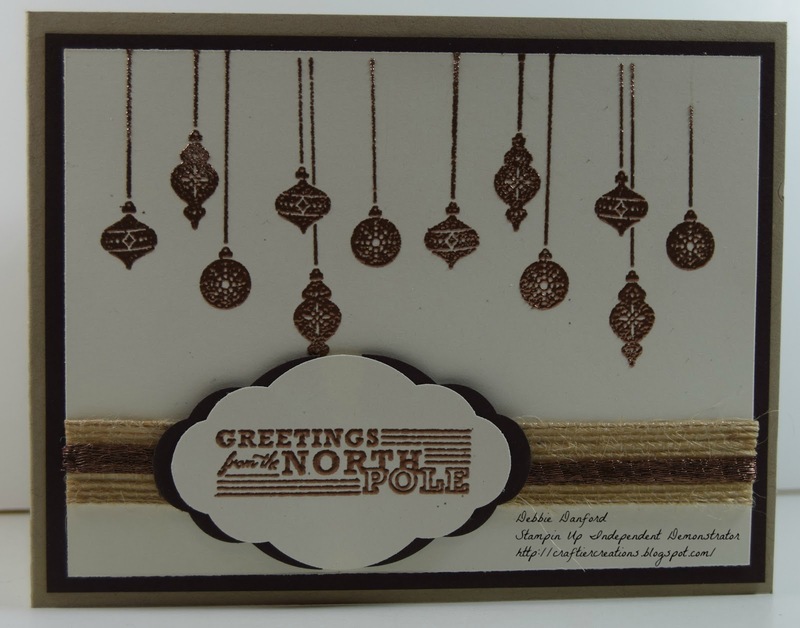 Attach Burlap ribbon and the new Copper Trim ribbon. 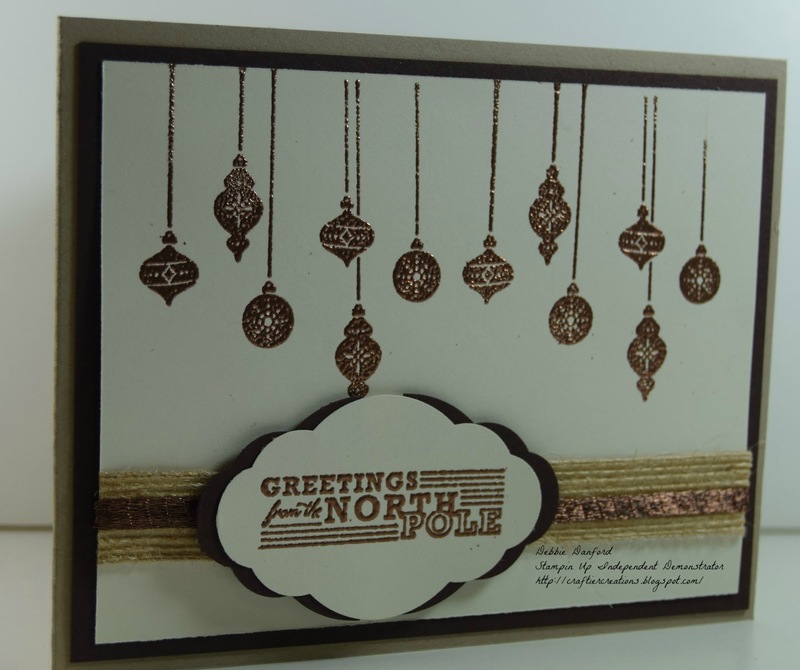 Assemble all layers and attach greeting with dimensional's to pop it up.